Often, people use their vehicles as vehicles of communication! 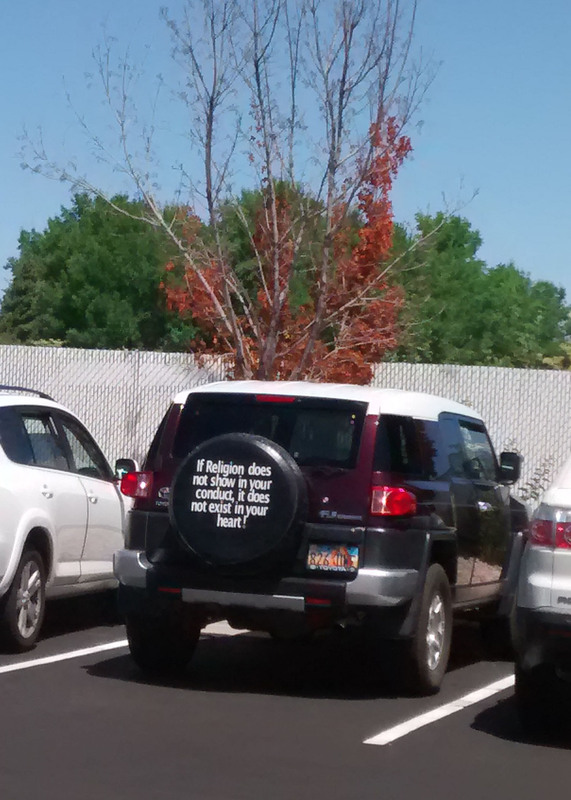 I spotted this message on a tire cover on a vehicle in a parking lot the other day. This entry was posted in Seeking a Sign and tagged seeking a sign, sign, vehicle of communication by tarvasalutes. Bookmark the permalink.